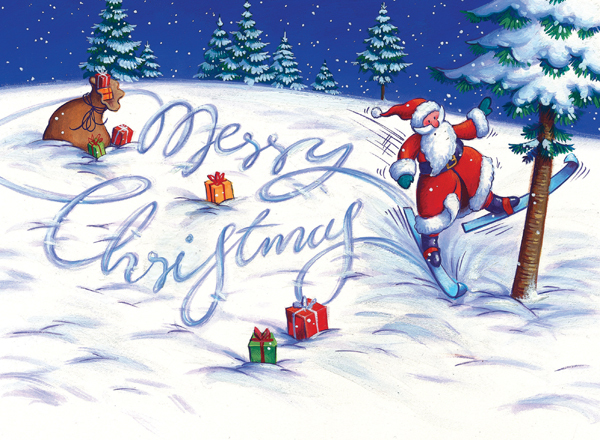 A funny Christmas card with Santa and Rudolph going off piste! A great value personalised Christmas card at only a price band A. By purchasing the Off Piste Christmas card 10p for each card you purchase will be Donated to the Charity of your choice from the Charities listed below.